As usual, this week had no shortage of exciting pre-orders and classic reissues. First off, you can pick up the new albums from UTG favorites ’68 and Bleachers, both due out in July. After that, head over to Interpunk and snag the colored vinyl versions of two Big D and the Kids Table albums. In soundtrack news, Mondo‘s long-awaited pressing of the Jurassic Park OST went on sale this week. All 1,000 copies of the more limited 180g amber-colored variant sold out in a matter of roughly 6 minutes, but you can still grab a copy on 180g black vinyl, and you might be lucky enough to score one of the randomly inserted “Dilophosaurus” copies. 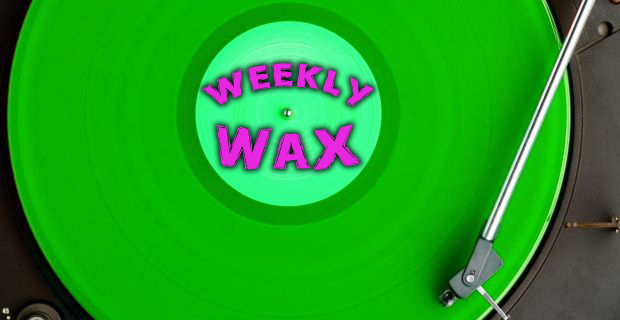 Check out full roundup of vinyl news after the break. Epitaph Records will be releasing a 10″ from Tweedy, which features Wilco frontman Jeff Tweedy and his son. Park will release a new EP titled Jacob the Rabbit in July through Bad Timing Records. Pre-orders will launch on Tuesday. Waxwork Records have revealed the cover art for their upcoming Friday The 13th soundtrack release. The album’s release date has yet to be announced. Check out the artwork by Jay Shaw here.